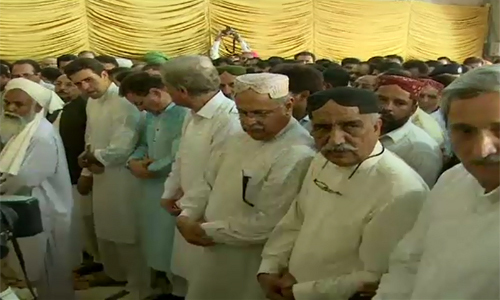 SUKKUR (92 News) – Funeral prayers for renowned lawyer Abdul Hafeez Pirzada was offered on Saturday. A large number of people, including important personalities, participated in the funeral. He will be buried in his ancestral graveyard in Sukkur.